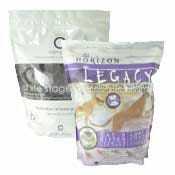 Horizon Pet Nutrition is a family-owned and operated company that manufactures quality dog and cat foods from their own facility in Rosthern, Saskatchewan. Horizon takes great pride in sourcing their ingredients locally and maintaining highly sustainable, environmentally aware practices while keeping quality control an absolute priority during their production process. Horizon's dog and cat foods have a high animal protein inclusion rate and many of them substitute low-glycemic grains and legumes as the main carbohydrate sources. 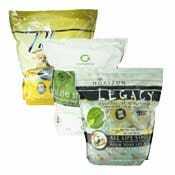 They offer recipes for developing puppies and kittens, adults, and mature cats and dogs a as well as several all life stage foods.